Kaplan Early Learning Company to carry The ProFile Planner™, a progressive new digital teaching tool for educators. Kaplan Early Learning Company announces a partnership with iActive Learning, LLC to distribute its new teaching tool, the ProFile Planner™. The ProFile Planner™ is a digital platform that allows early childhood educators to easily find and access educational content – lesson plans, activities, books, music, etc. Teachers have the ability to electronically plan their entire curriculum by the day, month or school year, and individually track student performance. Teachers may grant parents access to this new digital platform, in order to receive classroom updates, view daily lesson plans, and discover digital applications to supplement their child’s classroom learning. The ProFile Planner™ also allows teachers to coordinate with administrators – allowing them to electronically submit lesson plans for approval and provide all of the analytical tools needed for local, state, and federal accreditation to be properly maintained. “The beauty of the ProFile Planner™ is that teachers and educational coordinators will be able to search a variety of topics, find appropriate lesson plans, and then drag them into the planner. They can search by topic, song, concept, or by the materials they have on hand. 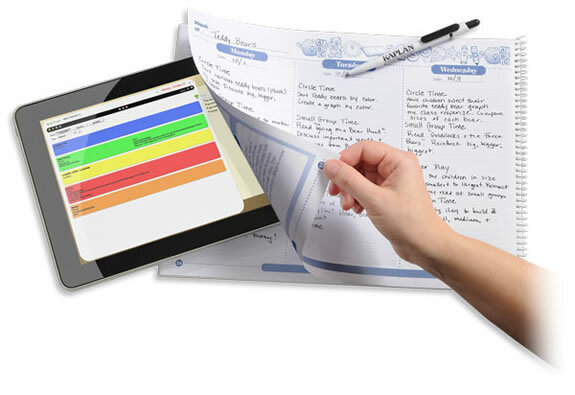 Teachers can activate the planner on the iPhone, iPad, SMART™ table, digital whiteboard, Apple TV, and Android tablets. Development was creatively conceived, executed and produced enabling teachers access whether they are using basic digital tools or sophisticated digital equipment. It will revolutionize how teachers plan their lessons because iActive software combines high quality resources with the most time-saving, efficient digital solutions,” said Dr. Cecilia Minden, Lead Educational Consultant and the former director of the Language and Literacy Program at the Harvard Graduate School of Education. iActive Learning, LLC is a leading source for the newest developments in the early childhood learning environment. Under the guidance of top educational experts, iActive Learning provides superior educational products on a variety of digital platforms. The ProFile Planner™ was developed in collaboration with a number of leading companies; including Gryphon House, Kaplan Early Learning Company, Once Upon An App, and Red-e Set Grow. More information about these companies can be found at http://www.iActiveLearning.com/partners.